in the tradition of Darwin and Newton. The Nancy Ellis Literary Agency welcomes the Year of the Dragon and looks forward to another successful year in its 36 year history. Since 2010 the Agency has been shifting its focus from a very eclectic list to one which focuses on those books which are transformational and life-changing, including both fiction and non-fiction titles. Memoir and narrative non-fiction are of particular interest; however, any story with significant impact will receive serious consideration. As always, new authors are welcome to submit their works, along with those who are previously published. Over the past year, NELA has seen the highly touted release of "Churchill's Secret Agent" by Max and Linda Ciampoli, a novel based on the true story of Winston Churchill's favorite secret agent (Penguin Putnam). 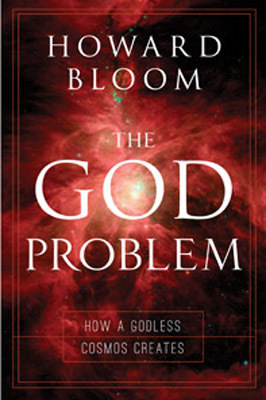 On a more philosophical/political note, "The Genius of the Beast" by Howard Bloom is soon to be followed by Bloom's follow-up book, "The God Problem", which explores the wide-reaching influence of Islam throughout the world (Prometheus Books). On a lighter note was "A Man For All Seasons" by Martha Stewart's favorite pet keeper, Marc Morrone and co-author Nancy Ellis-Bell (Random House). On the fantasy novel front, Lucinda Hare's "The Light on Dragon Isle" marked the author's second Young Adult novel for Random House UK. Back to the serious, non-fiction side and launching March 13 is Jim Garrow's "Pink Pagoda", the riveting memoir of a man whose ongoing mission to save baby girls from gendercide in China secured him a Nobel Peace Prize nomination for his dramatic, philanthropic work (WND Books, Ellis-Bell as writer). On the horizon are Andrea Giovino's "Using Street Smarts to Lead a Smarter Life", a prescriptive look at how a former Mob operative reformed and redeemed her life, and is the basis for Andrea's new television series; renowned photographer Jaz Fabry's "Hidden Vineyards", the premier opus in a series of "hidden" photographic subjects; "The Redemption Project" by Keith Davis Linton, a decorated Los Angeles detective, carries his message of hope into America's schools, all the way from the prestigious Miss Porter's in New York City to ghetto schools all across America's inner cities; and "Love It AND Leave It: Two Americans 10,000 Miles Apart, One Vision of Hope", co-authored by Philip Gold, a well-published political zealot living by choice in Israel, and Kamron Coleman, a philosophical artisan/craftsman living in Washington state, both men exploring what it means to be an American in the tradition of our nation's founding fathers. Other projects in development include a memoir by the iconic Grizzly Adams, aka Dan Haggerty, and Hugh Hefner's perennial playmate, Barbi Benton. Novels currently under submission include John Newman's Native American, environmentally-charged "Buffalo Dreamers" and Michael Kars's "The Incredible Lightness of Spinosa's Desk". Newly-signed projects include "Golden Brown" by Raul Reyes, the hilarious and heartfelt memoir of a Latino man in search of his Latin soul; "Home Sweet Home" by Allan Schwartz, an unusual look at navigating the real estate market in the style of Mark Twain meets Agatha Christie; Everett De Morier's "Crib Notes for the Unexpected Disasters in Life" a practical and humorous look at dealing with disasters all the way from those at the personal level to the most catastrophic natural calamities; D.S. Kane's "Swiftshadow" thriller series which takes the reader into the underbelly of "intelligence" espionage; and NELA is also expanding its purview to include the ever-changing electronic publishing environment, and will be offering a wide range of Indie-assist programs for both front and back list projects. Additionally, NELA has created an extensive alliance with respected New York publicist, Ava Kavyani, whose stellar track record includes both Random House and Penguin Putnam before her recent move to the Washington, D.C. area. Film conversions round out the Agency's expanded vision, in partnership with an "A" list film agent in Los Angeles. Our Agency continues to stay involved with authors after the sale, and to help develop long term publishing careers. The "bulldog" epithet still applies, and Ellis-Bell is committed to the ongoing success of her authors.